A professional who covers news, sports, engineering and executes features for major media properties (ESPN, USA Today, AP, MLB.com, Fast Company). Bursting with story ideas. Strong Spanish for interviews. Fearlessness and hustle for field reporting and shoots. Live broadcast technical skills. Career highlights include reporting and editing on-site at four Olympic Games, covering all major North American sports, a year-long posting in the AP London bureau, and producing international soccer video stories. ESPN the Magazine – Rundown of new media releases (June 2014); David Lough Body Shot (Aug. 2014); Video game trends (Nov. 2014); “LeBron James” (Oct. 2013 NBA preview) interviewed nine NBA players about LeBron James’ place in the game; “NHL 2013” (Sept. 2013) interviewed 26 NHL players about key concerns ahead of the 2013-14 season; “Alex Rodriguez” (Aug. 2013) interviewed 10 MLB players about Alex Rodriguez’s suspension for performance-enhancing drugs; “Kids in Sports” (July 2013) interviewed 120 parents of child athletes; “Taboos” (June 2013, noted as one of best projects of the year by ESPN) interviewed 13 professional athletes on what constitutes cheating; “MLB Preview” (April 2013 & 2014) interviewed over 60 baseball players for season preview issue. Associated Press (SNTV) – Covered Spanish National Soccer team training ahead of the 2014 World Cup, USA Soccer vs. Germany (2013), Chelsea and Manchester United USA tour (summer 2013/2014) as field producer. USA TODAY’s “Green Living” (April 2013&2014) wrote articles on sustainable fishing, LED light bulbs and working with reclaimed building materials for nationally distributed glossy magazines. Fast Company: Detailed look at SRI International’s (creator of Siri) innovations (Sept. 2012) and a design breakdown of Toyota’s 2013 NASCAR Sprint Cup vehicle (March 2013). Men’s Journal “MLB Confidential” (July 2012) – interviewed 45 MLBers on life in the big leagues. Regular contributor to MensJournal.com (2014). •Contract content writer (ongoing) for Civil Engineering Online (American Society of Civil Engineers). •Pitch F/X producer (ongoing) for MLB.com at Nationals Park in Washington, D.C. in collaboration with local (MASN) and national broadcasters (ESPN, FOX, MLB Network). •Earned 6-month, multi-part series on 2012 London Olympic prospects for The Washington Times. •Covered 2012 Olympic Table Tennis trials for ESPN, Newsday and The News & Observer (Raleigh, N.C.). 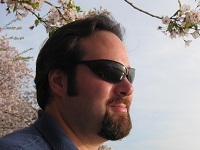 •2010-2012: contributor to Huffington Post/AOL’s Patch.com in Northern Virginia (over 150 stories in two years). •2010 Olympics correspondent in Vancouver for The SportsNetwork, New York, NPR and Greensboro News-Record. July 2007-Dec. 2009• Top Olympics, NHL and soccer editor for USATODAY.com (contributed to golf, tennis, NASCAR, MLB and NBA) spanning news and feature articles, athlete blogs, interactive graphics, photo galleries and audio/video presentations. Responsible for executing long-range special projects, updating content on multiple section fronts and producing/editing 10-12 stories per day.•Lead producer for 2008 and 2010 Olympic Games coverage in concert with IT, graphics, editorial, marketing and senior management. Directed the creation of 20 sport-specific landing pages and led 12-person Web team in Beijing. Launched USA TODAY Olympics Facebook and Twitter accounts in 2009 ahead of Vancouver Games. Created Flash-based Twitter widget to track Olympic stories, athletes and staff reports in 2009. Managed round-the-clock Games-period production schedule for 15 editors and producers. Produced dozens of video interviews with Olympic prospects leading up to 2010 Winter Games. Worked with over 20 Olympic athlete bloggers, creating an editorial calendar and suggesting topics for their contributions ahead of and during 2008 and 2010 Games. Managed campaign that created 20 user-inspired interactive Flash graphics taking readers inside the Games in 2008. Olympic graphics and photo galleries attracted over 10 million page views in August 2008 alone. Primary writer and editor for Going for Gold, USA TODAY’s 2008 Olympic blog featuring breaking news, live event coverage and staff reports. 2003, ’04, ’06-‘07• In multiple roles over four years, wrote, produced and edited game stories, video features and game highlights for MLB.com and MiLB.com. Edited at least eight print stories per night or four video stories of varying lengths per shift. 2000• Wrote, edited and planned stories for start-up online cycling magazine. Shot photos for stories.• Provided detailed coverage of U.S. Postal Service professional cycling team during two-week Spanish tour. 2004 (Athens): Baseball, boxing, soccer and beach volleyball researcher for NBC and Telemundo. Interviewed Spanish-speaking athletes for stories published by ESPN the Magazine, MLB.com and Marca (Spain).